I decided to take my own advice and adapt this idea for cat toys. I didn't have any felt on hand, so I used fabric scraps. 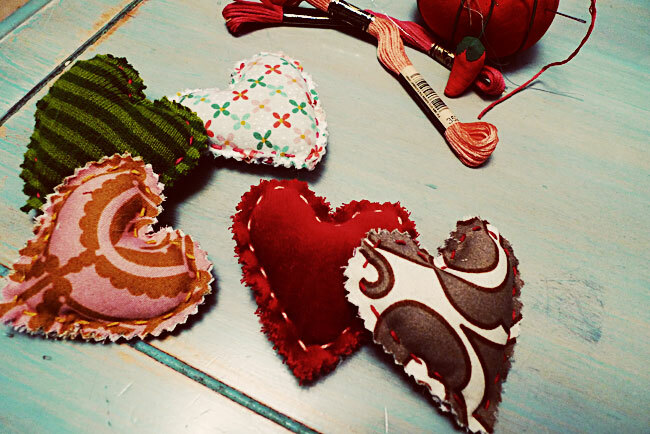 I cut out some heart shapes with pinking shears, and sewed them up with embroidery thread. 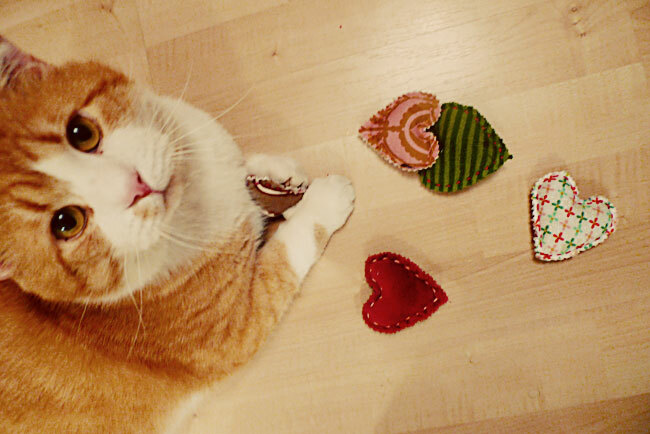 Before sewing them up completely, I stuffed them with cotton batting and dried catnip. The verdict? Kitties give 2 thumbs up. James likes to stick one under his head like a little pillow, Harrell loves batting them around, and Montreal just tries to hog them all and lick them to death.